He is only one of two referees ever to be appointed to referee two consecutive Heineken Cup finals: Munster v Toulouse at the Millennium Stadium in 2008 and Leicester Tigers v Leinster at Murrayfield in 2009. Nigel is also one of the presenters on S4C’s ‘Jonathan’, a rugby-themed Welsh language chat show hosted by former Welsh international Jonathan Davies. He also co-presents the sports-themed Welsh language chat show ‘Bwrw’r Bar’. 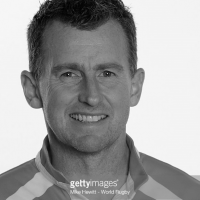 To book Nigel Owens for your event or to talk to us about your event requirements, either submit the enquiry form, email us: info@carolandassociates.com or call us on 087 718 1360.